Long Beach, Calif., can feel like a small town, but its population is bigger than Atlanta, Miami, Minneapolis and New Orleans. The Mayor of Long Beach, Robert Garcia, is such a local (he loves Snoop Dogg and has attended Comic Con for 19 straight years) that it's easy to forget just what a big deal he is. 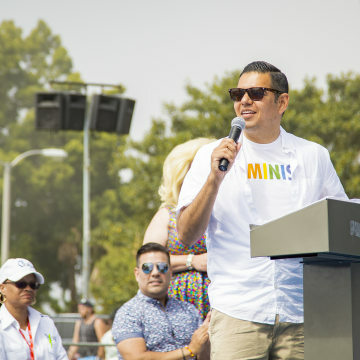 Garcia is openly gay, the youngest mayor of all top 50 biggest U.S. cities and a Peruvian immigrant who didn't become an American citizen until he was 21. 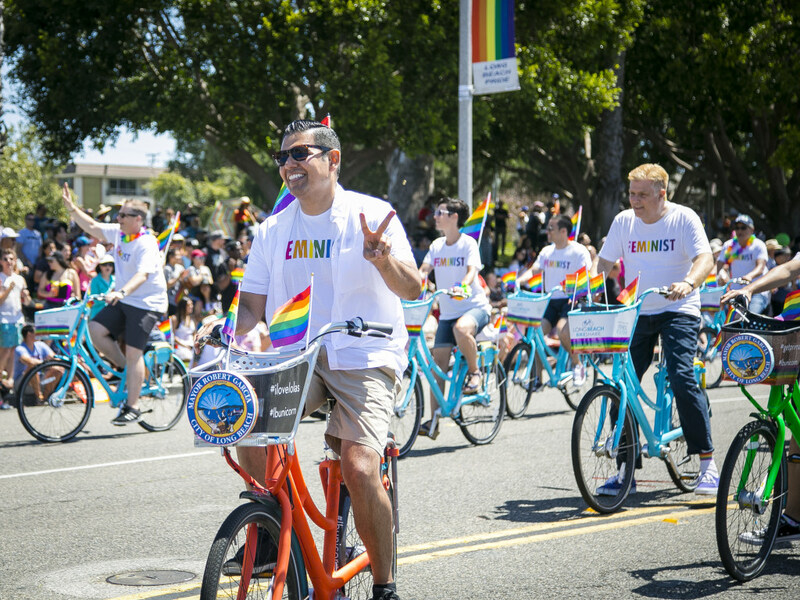 "I love the diversity of our LGBTQ community," Garcia said of Long Beach. "That’s something we’re really proud of." Garcia embodies that diversity perfectly — not only by straddling various marginalized communities, but also by the unusual road that led him to politics. Along with millions of other immigrants, Garcia's family applied for citizenship based on residency after President Ronald Reagan signed the Immigration Reform and Control Act of 1986. "My entire family, and a lot of immigrants, registered as Republicans," said Garcia, who was president of the Long Beach Young Republicans club while in college. If it seems unusual for an openly gay recent citizen in a heavily Democrat-leaning area to be a Republican, that's because it is. But the mayor chalks it up to the early allegiance that many immigrants felt to Reagan after he passed the law that legalized roughly 3 million previously undocumented immigrants. "My worldview and politics haven’t changed much. But with immigrants rights and the war, and me being gay, we all realized that we were more progressive," Garcia said, noting that his whole family has since switched parties. A graduate of the Victory Institute's candidate training program for LGBTQ politicians, Garcia said there is "still a huge need for more out candidates and representatives at all levels of government." 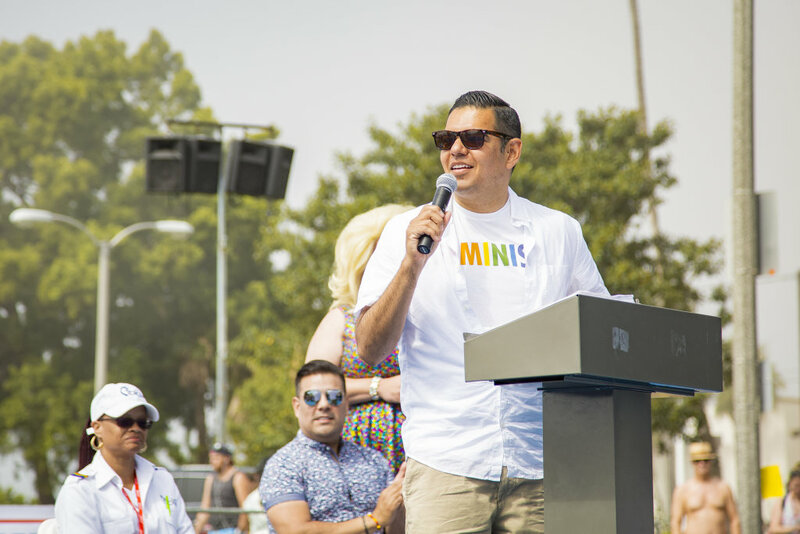 When he attends national meetings with other officials, like the United States Conference of Mayors, Garcia said he typically only sees one or two other out LGBTQ mayors. He wants that to change for a very specific reason. "It’s more difficult to write a discriminatory law, to pass or sign a bill that discriminates against LGBT people in the workplace, when someone you know and work with is LGBT," Garcia explained. There are 14 states in the U.S. with no openly LGBTQ state legislators, according to a recent Washington Post report, and there are only seven openly LGBTQ members in both houses of Congress. That's one of the issues that comes to mind when Garcia thinks about Pride season: not only how far we've come, but how far there still is left to go. "A lot of people in the community feel that rights are more at risk than they were a year ago and that progress is uncertain," Garcia said. 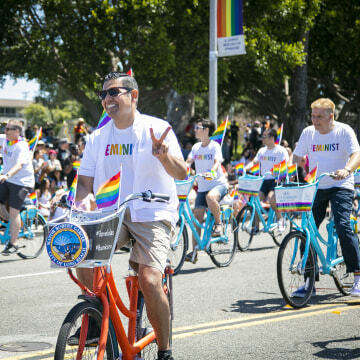 This May, the city celebrated its 34th annual Long Beach Lesbian and Gay Pride Parade. "Pride is taking on a different tone this year," Garcia said, "which is ensuring that we’re resisting any type of movement backward and that we’re pushing forward."